Cloud computing offers dozens of benefits, especially to small businesses and startups! It can dramatically reduce the cost to acquire expensive software, cut costs and time delays with real-time file-sharing, and reduce the costs by making hardware (like servers and storage) absolutely redundant. Hassle-free and usually pretty cheap, cloud computing gives all sorts of businesses unparalleled access to more computing power without the need to hire tech or IT employees. In fact, most small business computing needs can all be met by great cloud-based systems already available on the market. And with the rates of adoption for cloud technology steadily increasing, there's a good bet that by 2020, the vast majority of businesses will be using cloud technologies. But that doesn't mean that cloud services are absolutely without their pitfalls! For example, internet outages can leave businesses stranded without the applications they need, and signing on to cloud-based services can usually mean that businesses are at the mercy of that company's reliability. 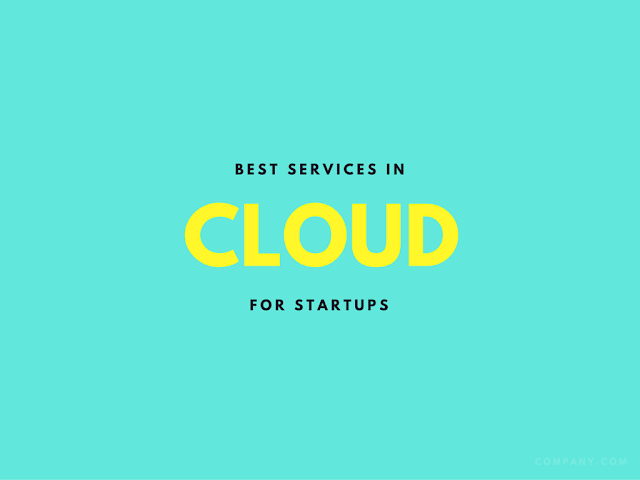 So with that in mind, we've hunted down some of the most popular, cost-effective, and reliable cloud-based services for new businesses to consider! If you're in a business which records service hours for billing purposes, and/or need reports, OfficeTime is a lifesaver which can generate invoices, calculate any billable times up to the minute, and even comes with a few fantastic customization options. It operates on both Windows and Mac machines, has an easy-to-learn interface for the computer-impaired, and unlike most cloud-based software, it can be bought with a one-time fee of under $50 rather than purchased by subscription. The only real con is that it doesn't export to spreadsheets. Clarizen is cloud-based project management software engineered for enterprise users. It centralizes scheduling, communications, task checklists, and even work collateral. It's got a pretty intuitive and easy-to-use interface, and even includes a chat app and APIs to easily connect employees and third-party programs. Basically, it's a fantastic tool to keep employees and projects on-track and on-task. Most people use DocuSign for all their signing and form needs; but AdobeForms solidly outperforms Docusign and is approximately half the price. Users can design fantastic interactive forms for use on websites and social media pages, but adds another layer of usability: data analysis. It analyzes information gathered, and can even identify and track the mode which the form was used (for example, email campaign vs. Twitter vs. website page). If your business relies a lot on feedback or forms, you can't find better. Most business owners go through a lot of hair-pulling when deciding which CRM to use for their customer-facing interactions. But let us be the ones to say that Salesforce is still solidly leading the industry, both for small businesses and enterprises. The cloud-based pro edition strikes a nice balance between cost and features, and offers fantastic reporting capabilities, sales forecasts, targeted email campaigns, customer service tools and even real-time data. If file security is a big concern to your business, you should consider SpiderOak. SpiderOak combines file-sharing, cloud storage, backup tool, and privacy software. It automatically hides identifying client data or information, and automatically backs up all stored files on a regular timeline. For all of that, it's pretty cheap given industry prices, running under $10 a month. It's also pretty user-friendly, and one purchase can be used on an unlimited number of machines. There are a lot of reasons businesses should consider switching to cloud-based services; but the most significant is just how cost-effective they are compared to alternatives. And you can find cloud-based services for everything from security to customer service to billing to project management.